Big Here is a large neon sign, mounted to the top of a building. A faux tv antannae mounted in front causes a shodow of a "T", making "Here" become "There". It is a recreation of a small sculpture I have made. 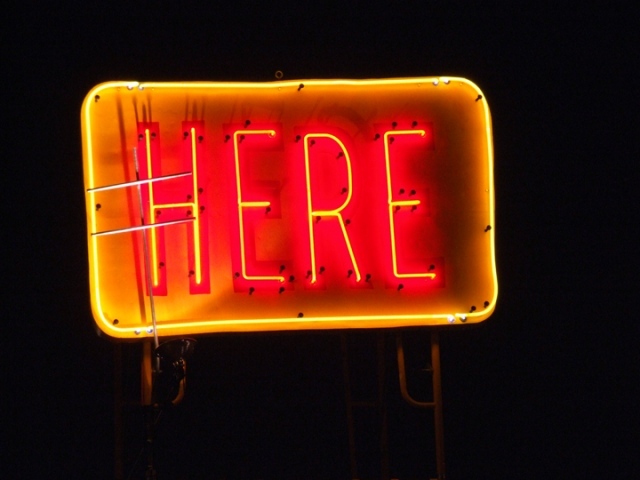 The sign "Here" appears in several different pieses of my work.